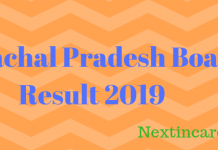 Kerala Board Date Sheet 2019: SSLC Date sheet for class 10th has been released. The exam will be conducted from 13th to 27th March 2019. The examination fee can be submitted without fine from November 7 to 19 and with a fine from November 22 to 30 at the examination centres. The Kerala Board of Higher Secondary Education (KBHSE) that was established in the year 1990 is the board responsible for providing better education for all the candidates of Kerala. The Kerala board will release the Kerala Board Time Table 2019 in charge of releasing the date sheet for all the students of Kerala who are going to take the class 10th and 12th examination in the academic year of 2019-20. Kerala Board conducts SSLC and HSC Board Examination in the state and will provide the Kerala Board Time Table 2019 for the same soon. 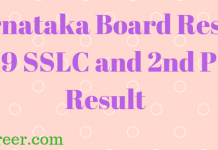 SSLC date sheet for class 10th candidates released. SSLC HI (hearing impairment) date sheet also released. Check both the exam date sheet HERE. The official website of Kerala Board are https://www.kbpe.org/, http://keralapareekshabhavan.in/, and www.education.kerala.gov.in/. Students who are going to appear in the final examination of Kerala Board 10th and 12th class can download Date Sheet as soon as it is released by the board. Kerala Board SSLC has been released on 31st October 2018 and HSC Time Table 2019 is expected to be released in the month of December 2018. The full time table will be provided here as soon as it is released. SSLC stands for secondary School Leaving Certificate. SSLC exam is the the examination for class 10th candidates. Those who are going to take the 10th class SSLC exam in the year 2019 can download the Kerala sslc date sheet 2019 for the same in the online mode. Candidates must check the dates of exam along with the timings. HSC stands for Higher Secondary Certificate. All 12th class candidates take the HSC examination for various streams of science, arts and commerce. Students must download the Kerala board 12th time table on time and prepare accordingly. The Kerala Board Time Table will contain the subject name, the day and date of the examination. With the help of the date sheet, students can prepare well in the examination. The exam is likely to follow previous year patterns and will be started at 10 AM. The practical exams will be conducted from the 2nd week of February. The date sheet will be displayed on the scree. After downloading take a print out of it for further use. KBHSE is the regulatory body of Higher Secondary schools in Kerala. It was formed in 1990 to re-organize secondary and collegiate education in the state of Kerala. The board conducts HSC examination and offers courses in Humanities and commerce. The SSLC must be obtained at the end of the term of study at the secondary school, after which a student can study at a higher secondary school, which is sometimes called a Pre-University Course (PUC), for two years. After this twelve-year period of study, a student may enter a university for undergraduate studies or may choose to pursue a shorter diploma course in a technical field of study. Alternatively, after obtaining the SSLC, a student may choose to attend an industrial training institute where one can be trained in skills necessary for technical occupations.